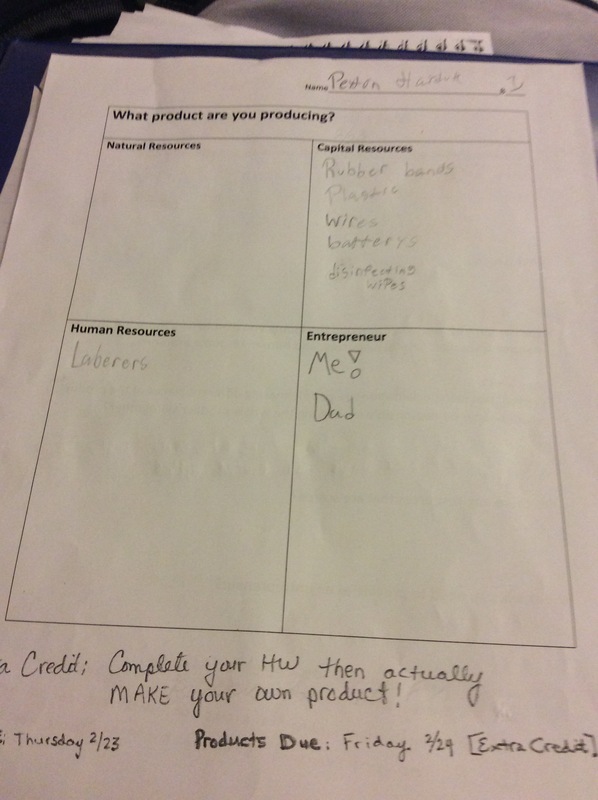 My daughter Peyton is in sixth grade and came home from school with this homework assignment last night. She was super excited about it, and couldn’t wait for her dad to get done working out so she could have some “father-daughter bonding time”! 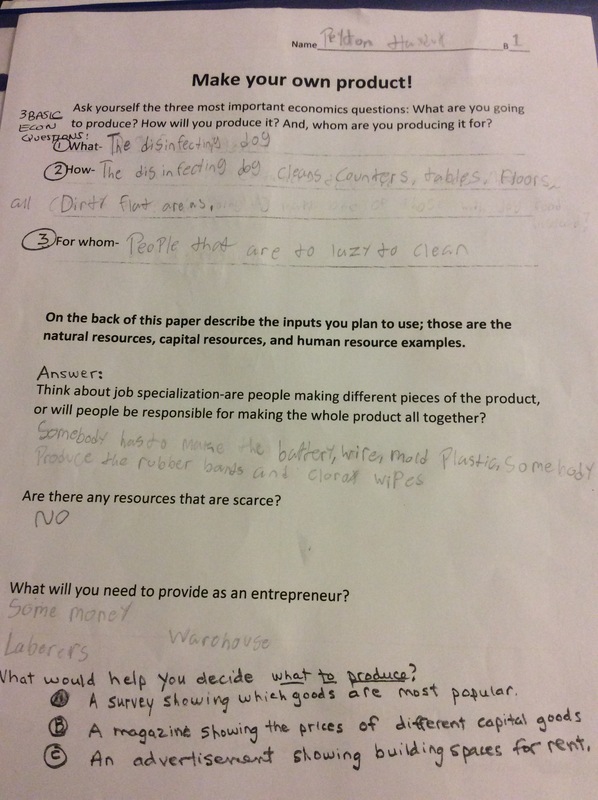 She had to fill this paper out for the assignment, but if she actually made the product, then she could earn extra credit. So her little mind began working, trying to decide what she should do. Of course she asked me for her old remote control cars, which I had thrown away a year ago, because they didn’t work! It probably would have been easy to quit right then. She wanted to do something with electronics, and I threw away her remotes! But she didn’t quit, she found another idea, and she made it work. I think this was an amazing assignment on the teachers part. I saw Peyton’s excitement, and passion for this project, and she couldn’t wait to get started. She came up with a few different ideas, and then once she thought them through, she realized they were not going to work. She had to narrow down her vision, and then go from there. After dinner, she began the project with her dad. She took an old electronic panda, and she cut the fur off of him. It was a little disturbing to see her mutilating her panda at the dinner table. I even made a joke once or twice about it, and she didn’t like that, because she loves her stuffed animals. However, after a few more laughs she carried on for the greater good of the invention. This is what she came up with! 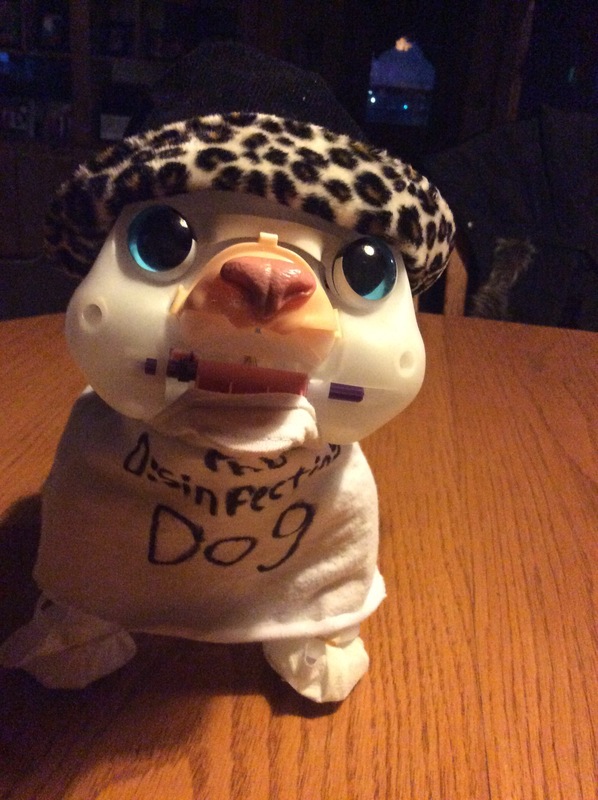 I present you with the disinfecting dog! He cleans your floors for you! He has antibacterial wipes on his feet, so when he walks around he is actually cleaning! How freaking cute is that? 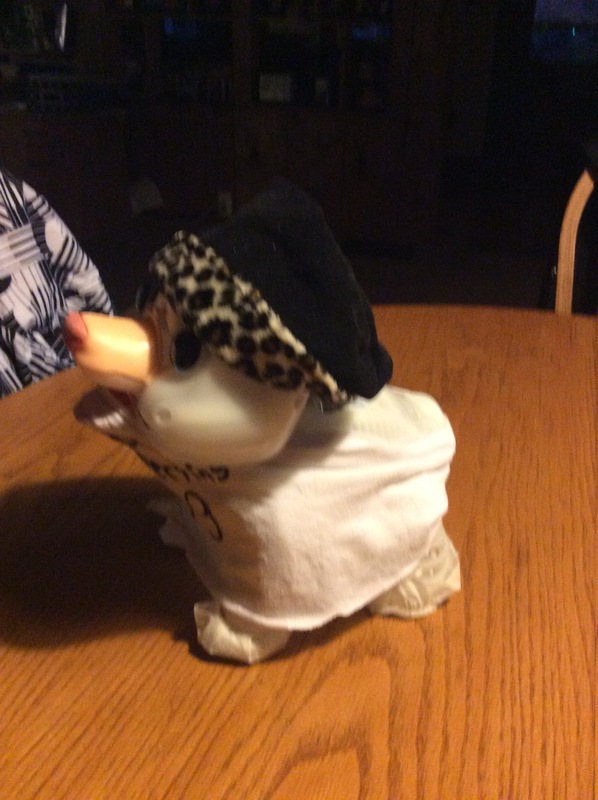 She had to give him some clothes and a hat of course! He even has a spot on his back, similar to a dispenser, where the extra wipes are stored. I loved every bit of the thinking that went into this project. She has my entrepreneurial spirit, and her dads brain, which equals the full package. Sometimes public school teachers don’t get enough credit, so today I wanted to share with you our story. This was an amazing idea, that required using the brain in many different ways. It also took imagination and perseverance. She will always rember creating the disinfecting dog with her daddy, and she will also always remember Mrs. Brady as well! Teachers I appreciate you and all that you do! If you’re not willing to learn no one can help you…..